With the affordability of desktop 3D printing increasing, individual artists, designers and smaller studios have access to tools that they never would have thought were within their reach. Artists and designers are creating 3D printed characters, sets, and props at a lower cost and with a reduced cycle time for iterations compared to ordering from a service bureau. We spoke to Edward Quintero, who previously worked for Dreamworks Animation and Industrial Light & Magic, about 3D printing in the animation industry and his current role. As one of the founders of Mold3D, Edward is focused on fostering a community of 3D Modelers, Sculptors, and Designers. 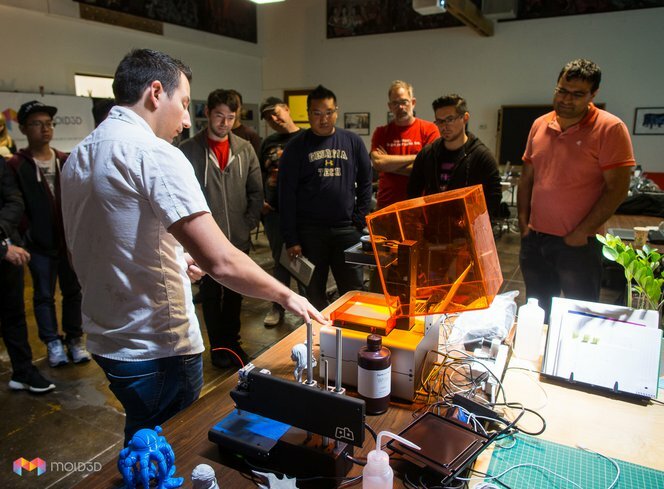 After the success of their 3D printing workshops in Los Angeles, Edward and his cofounder, Robert Vignone, decided that they needed a way to reach a bigger audience. They recently started Mold3D Academy, a platform containing classes that vary from product design, toy design and sketching, to more technical training in 3D modeling and prototyping tools. How do you think desktop stereolithography 3D printers are changing the animation industry? 3D printers have given 3D artists the opportunity to create outside the computer. It can take days, weeks and in some cases months to create a 3D model, that until recently was restricted to a monitor screen. Now artists can take this work and translate it into something physical, which is pretty amazing. Stereolithography printers are specifically game changing because they are great at handling detail and fine resolution. 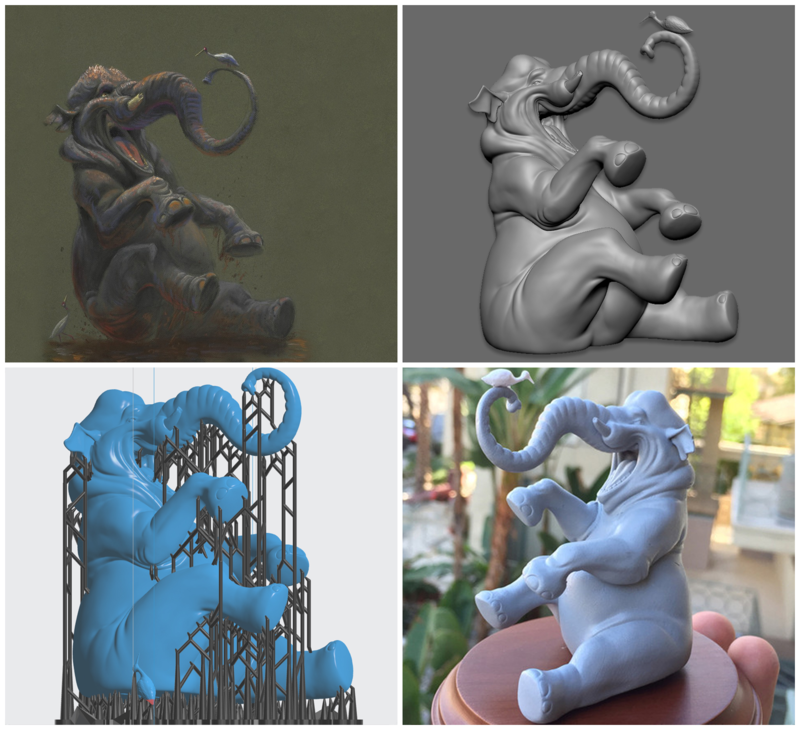 Most artists don't want to compromise quality, so having the ability to get an accurate representation of a 3D model is convincing many artists to start incorporating 3D printing into their creative workflows. So how does this change the industry? Well in animation it will be used more frequently to help visualize a character, or prototype a movie prop. For the 3D artists themselves, it can be used to create new products, which add value to their artistic brand and gives them them opportunities to reach new audiences. Personally, I'm excited to see how far artists will continue to push the medium. Do you have any advice for VFX and CG artists looking to get into 3D printing? I think the most important advice is to start now. It's not that difficult to get started, especially if you already have the 3D modeling skills. 3D printing is just another tool for CG artists to use and it's really the design and modeling skills that take the longest to master. So it's a logical next step, and it really does open doors. Having a 3D printing portfolio makes you stand out. It helps build your artistic brand, something that is becoming more important to have these days. There is a lot of competition out there, and anything that helps you stand out is always a plus. Not to mention that 3D printing is cool! For those who don't know where to start, there are resources out there to help you learn. Mold3D.com provides plenty of information via free tutorials and there are also a lot of user groups popping up online that have communities of people willing to help out. Registration for fall classes of Mold3D Academy is now open.